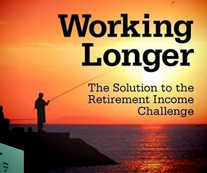 This timely and insightful book assesses the potential of longer work lives to strengthen retirement security. With a clear-eyed view of the challenges associated with such a major social and economic change, this book is an essential resource for individuals, employers, and policymakers alike. View myths and realities about working longer. View reviews and press coverage. The authors would like to thank the Prudential Foundation for their generous support of this book and The Atlantic Philanthropies, whose support stimulated the initial interest in this topic. As Americans live longer and healthier lives, many seniors will need to generate additional income to remain financially secure. The skills, experience, and expertise of these seasoned workers can only stand to benefit our economy. This book is a timely and comprehensive look at the challenges and opportunities of recruiting and retaining older workers. We have made remarkable progress in improving health and longevity. Now we need to figure out how to finance the substantially longer retirements these gains have produced. In Working Longer, Munnell and Sass make a strong case for moving the average age at retirement from 62 to 65 or 66—and thereby safeguarding the future of most retirees. Anyone who is interested in preparing our country for a better retirement future should read this elegant essay. This book is a badly needed wake-up call. With lifetime pension plans dwindling and employer health benefits to retirees shrinking drastically, Americans—especially the Boomer generation—need to face the reality that Munnell and Sass describe: longer lives, higher costs, and inadequate savings in their 401k plans and elsewhere. This means that average Americans are going to have to work longer or face poverty in their so-called golden years. The retirement landscape is different from the one you might have imagined just a few years ago. The good news is that you’re living longer. The bad news is that health care will cost more, pensions are shrinking, and your investments might not have grown as fast as you’d hoped. Munnell and Sass show you how—by working a little longer—you can overcome these challenges and live the retirement you’d planned. The United States has a retirement income problem. This remarkable book examines one potential solution to the problem: increased work by older Americans. Munnell and Sass provide thoughtful answers to the key questions. This is a lucid, thorough, and thought-provoking contribution to a very important debate.